Empty bottles with hinged resealable screw caps. 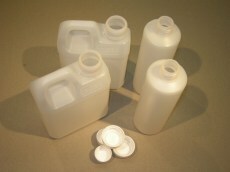 Allows for excess oil to be deacted into smaller portions for storage. Tung oil stores well with minimal air in the had of the container and in dark, dry and cool conditions.